mean ol' meany: But the person that made this isn't! But the person that made this isn't! For those of you who know me best, y'all know that the main reason I gave up on Islam is that man, I love the swine! So today, Jimmy Pete and I rolled up in the Pig Out Inn and feasted like the rednecks we are. The meal that you are looking at is the Two Meat Plate. 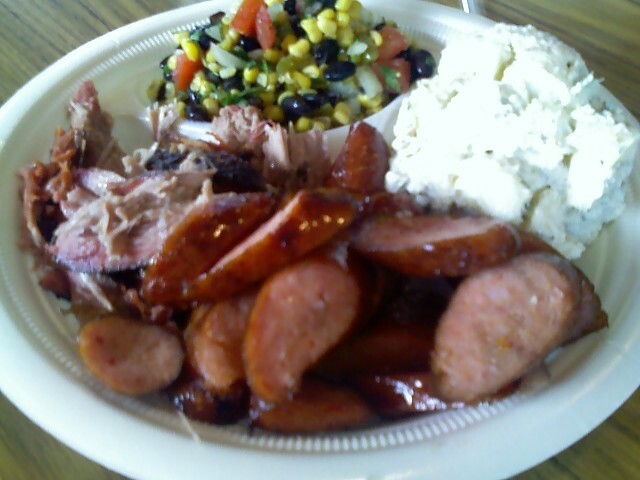 I got the sausage and the pulled pork with corn salad and potato salad. It was about fourteen bucks with a drink, but I can tell you that I have not had a lunch like this in forever. The pork was super tender with that crunchy black gunk on the outside, the sausage was evenly cooked and not greasy. 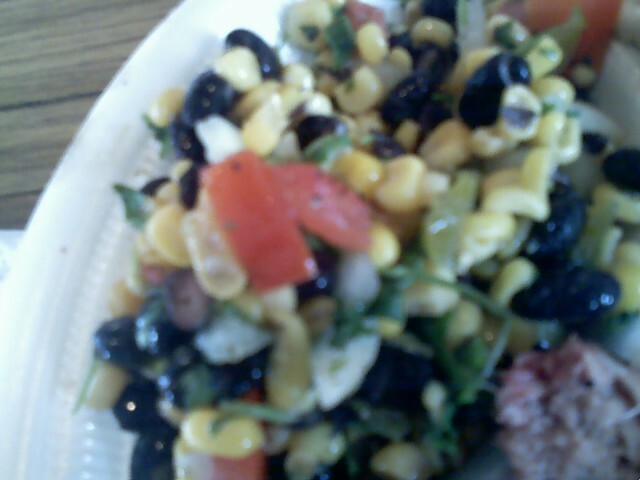 And praise them, NO LIQUID SMOKE!!!!! Anyhoo, when in Jacktown, hit me up and I'll give you directions. Nolan Coward is the manager and if I wasn't involved, I'd be wearing my knees out trying to please him.